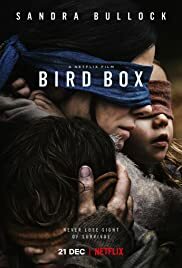 Bird Box Review – Reviews Downloads and More! I finally decided to watch this movie that has got a lot of attention from the media. A woman and her children try to survive in a world where people are driven to suicide or they are driven to insanity by some unknown force. The movie itself is ok I guess. Don’t expect to actually see whatever is causing people to go crazy. Sandra Bullock does an amazing job in this movie. Things happen and some of it felt underwhelmed to me while others felt intense and chaotic. The ending has the most “CLICHE” and idiotic laziness I have ever seen. I feel like it ruined this movie. On top of not being able to actually see the beings or whatever was causing this. This movie is obviously using ideas from “The Happening”. Overall, I believe this movie could have been a lot better and its amazing actors couldn’t even save it.